Primedia Broadcasting — RadioWorks 2014 – Advertising at the speed of culture. 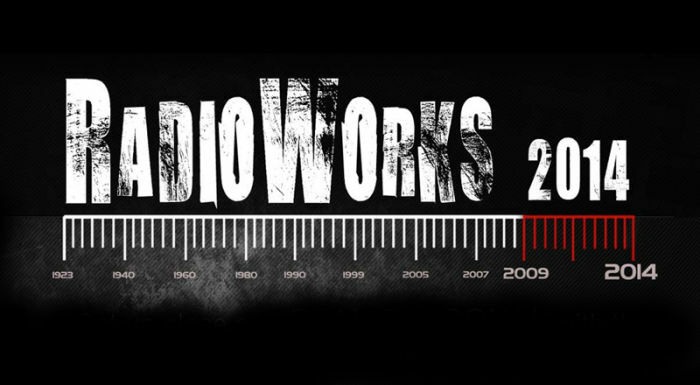 RadioWorks 2014 – Advertising at the speed of culture. Once again credit must go to the RAB for securing a thought provoking and interesting line-up for this year’s conference. While every speaker added value in their own way, the speaker who I think left radio with the most to think about was Jason Xenopolous – CEO of NATIVE, the premier digital agency in this country. Now, I'm extremely biased as I spent some time with NATIVE in 2013 under the guidance of Jason and while I jokingly refer to it as my digital gap year – it was a fundamental period for me as in a few short months it became very clear where the new opportunities for radio lie. Jason spoke of advertising at the speed of culture and demonstrated it with work from Beats, Chevrolet and the instigator of it all, Oreos. The big mistake we as radio people could make, is to look at that work and consider it 'nice work' instead of looking at the trend that the work is pointing towards. Sophisticated marketers are looking at an always on creative solution. Fluid in creation, execution and approval – it's not just about being tactical but it's about being responsive. Maximising what the audience thinks works and binning what doesn't. That's why digital media is so appealing to advertisers today. While the value and ROI on digital advertising is debatable – what it does offer is measurability. Within minutes a client can now know how well a message is working, where it is working best and then make the most of that. Radio for too long has been unable to do that. We all know that radio works, it's a gut thing, but until gut can be put into a spreadsheet and pie chart – we need to do better. Jason mentioned Primedia Broadcasting's use of Shazam for radio and it was with this measurability in mind that we pursued the option. Sure Shazam is cool and sounds awesome on-air what it does give us is an opportunity to provide advertisers with a snap shot of their campaign. We can measure take-up in certain day parts, compare response between one message and another. We're even able to drill down into where in Joburg the best response came from. From this we then relook the schedule, move spots around, change messaging in real time – instead of waiting for the end of the campaign and having very awkward conversations with clients because something did not work. Granted it is a snap shot off a small base, but it is the start of the accountability we need to build into our campaigns and into our thinking. Jason started off his talk with a demonstration of how TV has been affected most by social media, they've adapted well but as we look at declining TV spends worldwide, we can't assume that the money is going to trickle into radio. Radio needs to become more agile, accountable and ultimately move at the speed of culture. Our listeners aren’t giving us any other choice.